By all rights, 19-year-old Nathaniel Page should be a slavish devotee of video games, social media and cell phones — just like many of his peers. A freshman at Rensselaer Polytechnic Institute in Troy, New York, this computer science specialist is a self-proclaimed gamer who loves shoot-’em-ups such as Overwatch and Battleground. But there’s something unusual about Page — something that doesn’t fit the classic gamer profile. He’s also a newly minted Eagle Scout. He earned this highest of all honors via Boy Scout Troop 347, which for years has been sponsored by the Kiwanis Club of Newington, Connecticut. According to Page, his days pitching tents and building campfires helped make him a well-rounded person and keep today’s wired world in perspective. Many of today’s parents would agree. According to a study by the nonprofit organization Common Sense, as of 2017, smartphones had made their way into 95 percent of U.S. homes with children ages 0 to 8. Seventy-eight percent of those homes also owned tablets, and 42 percent of the children in those households possessed tablets of their own. Just since 2013, the time those kids spend daily on mobile devices has tripled, from 15 minutes to 48 minutes. Fortunately, there’s a group that seems perfectly positioned to blunt the influence of so many screens: the Boy Scouts of America. 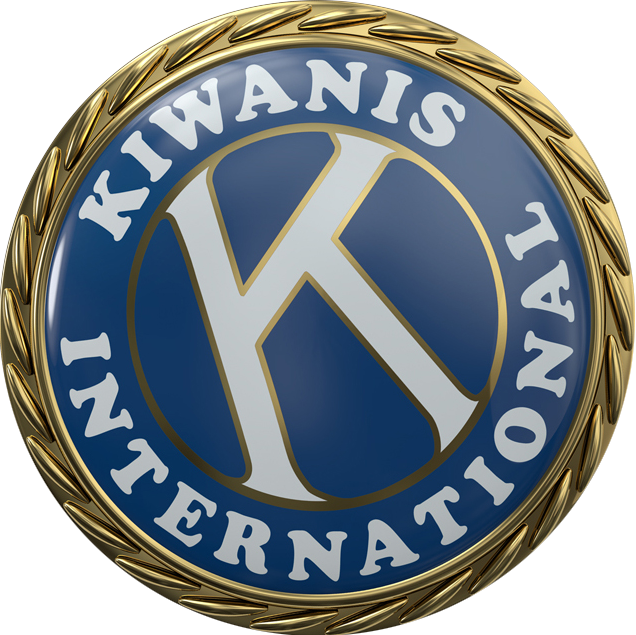 And Kiwanis clubs, by volunteering to sponsor troops, are uniquely positioned to help. According to Michael B. Surbaugh, chief Scout executive of the Boy Scouts of America, his organization’s traditional recipe for child development — physical activity, skill-building and fellowship — offers the perfect tonic for today’s screen-besotted kids. And that tonic can be taken early, by signing up for Cub Scouts (for 7- to 10-year-olds). A recent study conducted by the Boy Scouts of America found that, while parents and kids don’t mention less screen time as a reason for signing up, they did offer motives that seem like natural byproducts of a less device-intensive lifestyle. For instance, parents chose character development, acquiring outdoor skills and having fun as the top three reasons. Among Scouts ages 11 to 17, the reasons were to have fun, learn about nature and outdoor skills and join friends in Scouting. Robert Nakagawa, deputy Scout executive in the Boy Scouts of America’s Denver Area Council, says this interest in getting outdoors and being with friends plays to the organization’s strengths. The council supervises several large Colorado Scout summer camps, including Tahosa High Adventure Base and Peaceful Valley Scout Ranch. When it comes to how to deal with devices, he admits that the Scouts, like the rest of society, are still feeling their way. “I think the Boy Scouts struggle with this issue as well,” he says. Though each troop has its own policy when it comes to use of electronics, in most cases it’s impractical to simply collect them in a big sack and confiscate them for the duration of a camping trip. For instance, if the kids want to take pictures, using their phone is pretty much the only way. On the flipside, having Scouts blast pictures of their camping trips and talk about the fun they’re having on social media doesn’t exactly hurt the organization’s recruiting efforts. Not surprisingly, the Scouts’ emphasis on community service and character creates a great deal of commonality between themselves and Kiwanis. Sponsoring a troop is also an excellent way to both raise a Kiwanis club’s community profile and to catch the attention of just the sort of young people who could one day make energetic new members. It’s an equation that’s not lost on Mike George, immediate past president of the Kiwanis Club of Tierrasanta, San Diego, California. For years, the club planted miles of flags along the two main entrances to the town on important holidays such as the Fourth of July and Veterans Day. But planting and then collecting all those banners was a daunting task. So a few years ago, George turned for help to Boy Scout Troop 985, which his Kiwanis club sponsors. The club reciprocates by assisting with the troop’s Eagle Scout projects. George thinks working together benefits not just the kids, who learn firsthand about community service, but also Kiwanis, by raising the organization’s profile among a trove of potential future members. Mitch Page, the proud father of Eagle Scout Nathaniel, agrees. Page has four sons, the oldest three of whom are all Eagle Scouts. His youngest, at 13, is currently working toward that rank. Page has personally witnessed the benefits of Kiwanis participation in Scouting — and Scouting’s ability to help kids put down their phones and log into in the real world. Scouting is big in North America, but it’s by no means just an American movement. Founded in England in 1908, it has since spread to every corner of the world and encompasses some 40 million active members. If your club would like to find and join forces with a troop in your part of the globe, these regional Scouting centers can help.